After the end of the Bronze Age, a new civilization, the Mycenaean, developed in the Greek mainland. A Warrior-focused civilization, as evidenced by excavated art, is rumored to have fallen from power as a result of Greek invaders known as the Dorians. The fall of the Mycenaean is the beginning of the Greek Middle Ages and the Age of Homer. During this “dark age” of history, Greek society established self-governing city-states (a polis), new military strategies, and expanded into colonies throughout the Mediterranean region. Life in Archaic Greece after the “dark ages” shows the development of a distinct Greek society and culture and is divided into three periods: Archaic (ca. 600–480 BCE), Classical (ca. 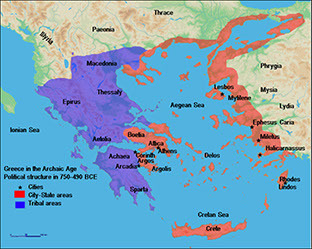 480–323 BCE), and Hellenistic (ca. 323–146 BCE). The Classical period in Greek history is usually characterized by its cultural achievements, but it is also plagued by conflicts between city-states. These conflicts lead to the development of stronger individual city-states, but constant strife causes even the most powerful to fall. It is during the Classical period that we witness the birth of democracy in Athens, which coincidentally comes at a time when Athens is seeking to expand and conquer surrounding areas. Yet, amidst all this strife, culture and civilization flourish and is even inspired by the events that unfolded before them. 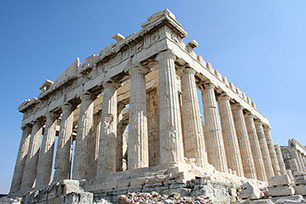 Greek art displays tragedy, comedy, architecture, sculptures, history, and drama. 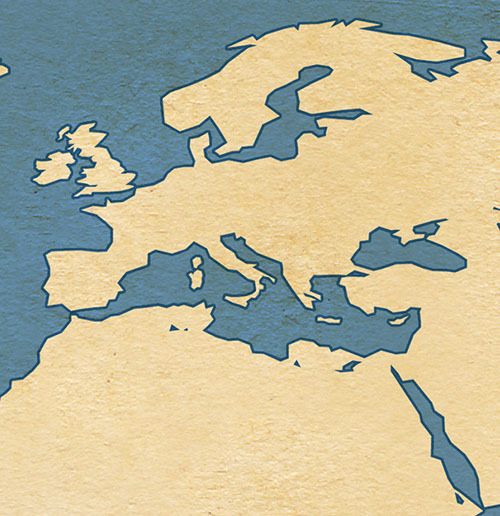 The Hellenistic Period was a time of expansion and conquest. The Macedonians, led by Alexander the Great, demonstrated dominance as they conquered not only the Greeks, but also the Persians. Alexander the Great led his army into Asia, defeated the Persians, and created an empire that stretched from Greece and Egypt to the borders of India. His death, at age 33, left a large empire with no direction. Successors lived in the prosperity that Alexander accumulated, but eventually political and economic strife led to internal conflicts and vulnerability to outsiders, especially the growing power of Rome. The Italian peninsula is believed to originally be settled by mountain people who arrived in 1000 BCE and then the Etruscans starting in 800 BCE who established a civilization based on royalty. This royal period in Roman history split society into two classes, the patricians (upper class - wealthy) and the plebeians (lower class–farmers, laborers, artisans). 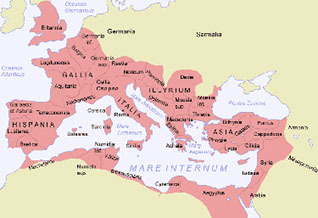 The royal family was replaced by the Roman Republic after a coup by the wealthy families of the area in 509 BCE. The Early Republic was guided by a constitution, which outlined the laws, customs, and government of Rome. 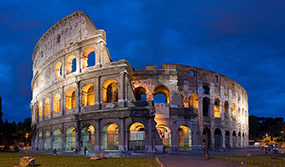 After much internal conflict in the establishment of an effective government system, the Romans sought to expand their empire and spread throughout Italy. The desire for conquest did not stop here, as the Romans fought and defeated Carthage, granting them rule over much of the Mediterranean coast. Imperialism came with a price. As the Romans infiltrated the lands of other civilizations, they became influenced the culture of the conquered. The most profound impact on Roman culture derives from Hellenistic Greece and can be seen through the comparison of their gods and views on education. Also, life in Italy experienced greater economic disparity, and political instability. This led to the eventual the fall of the Roman Republic. During the late Roman Republic, Julius Caesar helped lay the ground work for the establishment of Imperial Rome. Making changes in government in order to strengthen his hold as a dictator and weaken the Senate, Caesar passed on to his heir an empire. Octavian, best known as Augustus, became the emperor of the Roman Empire in 27 BCE, controlling all aspects of his domain, including influencing members within the administration, developing a professional military, and restoring morality through the support of religion. The Age of Augustus strongly supported Roman culture. After the death of Augustus, a succession of imperial dynasties ruled the expanding Roman Empire. Second century CE emperors such as Trajan and Hadrian strengthened and stabilized the empire. After the death of Marcus Aurelius, a series of weak emperors signaled the long decline of the Roman Empire.